Win-win situations are rare in this world, win-win-win situations even more so. However, becoming part of one is as easy as making a trip to your local gas station or grocery store. These are among several sites in Augusta where you can dispose of aluminum cans while supporting great causes. 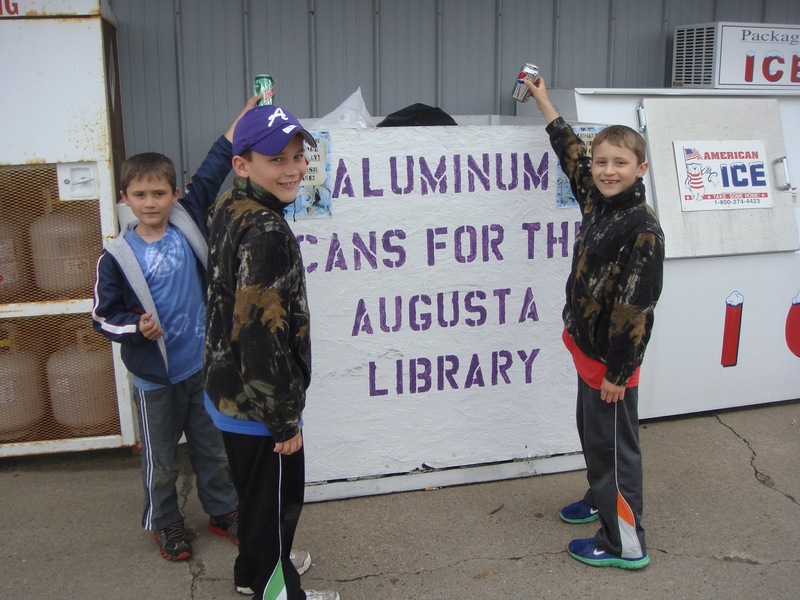 Both the Augusta Public Library and the Boy Scouts have can collection sites around town; the proceeds from selling the aluminum to recyclers go to purchase library materials and fund reading programs for the library, and they support camp and other programs for the Boy Scouts. Volunteers from both organizations collect the cans and deliver them for recycling. These unsung heroes have faced some disgusting situations in the process, though, and they ask for the community’s support in making sure that the collection bins are used only for aluminum cans. Volunteer Angie Frank, who collects cans on behalf of the library, points out, “Some well meaning folks give us other types of aluminum, which we just end up throwing out. Other folks mix garbage, scraps of food, and other beverage containers with the good aluminum cans. JUST ALUMINUM BEVERAGE CANS, PLEASE. NOBODY ENJOYS SORTING OTHER PEOPLE’S GARBAGE.” She also asks that donors make sure the cans are clean and not put back into their original cardboard containers. If you would like to use your cans to support these organizations, you can find the collection bins at several locations. The library collects cans at Carol’s DJ’s Mart, located on W. Lincoln St. in Augusta, and at the Bridge Creek recycling center on Highway 27. 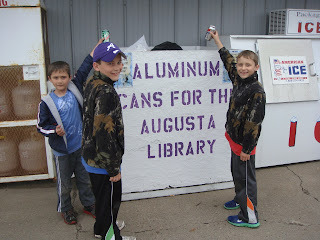 The Boy Scouts collect cans at Augusta Meats at 825 Industrial Drive, at the Woodland convenience store and gas station on Highway 27, and at the Gordy’s grocery store on W. Lincoln St.
Donating cans allows you to dispose of clutter for free, helps preserve the environment, and enables the Augusta Public Library and the Boy Scouts to provide quality programming for area youth. It’s a win-win-win situation indeed. Thank you to the Frank family, to Rebecca for the fine article and to the community for the donations.